Happy Monday! While the start of the week can be rough, Mondays are always a good day in my house because our fridge is stocked from a weekend of grocery shopping and food prep. 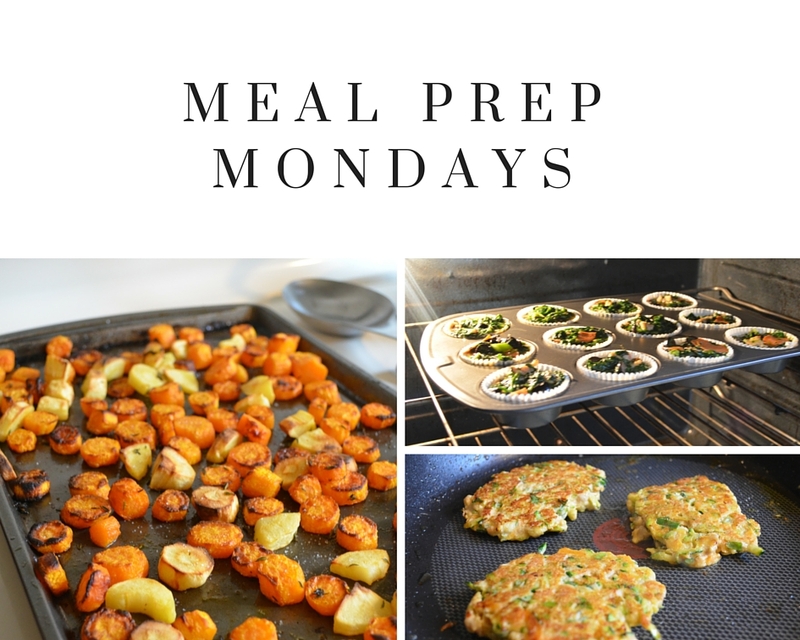 I’ve previously shared how I plan and prep our meals, but thought it’d be fun to do an update. My go-to recipes change based on the season and how the hubby and I are eating at the time. Most of my staples are Paleo recipes as I feel the best when I eat a dairy and grain free diet. Every week I prep something for breakfast, some sort of veggie dish, and a protein. Lately I’ve been on an egg muffin kick. 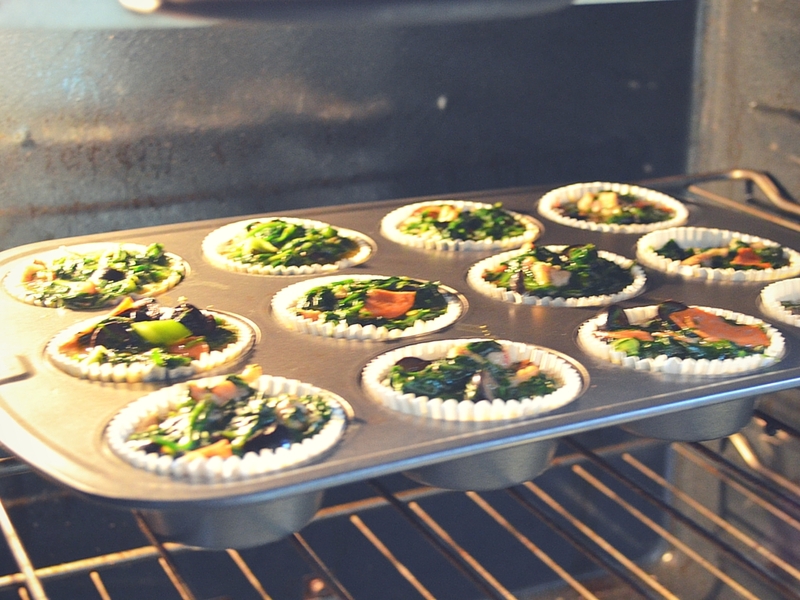 Egg muffins are just mini frittatas cooked in muffin liners for convenience. Pictured are my favorite pizza egg muffins, so named for the delicious pepperoni, black olives, and mushrooms packed into every bite. This particular batch was a little too heavy on the spinach, but was still pretty tasty. Pizza for breakfast is a great way to start the day! I just realized I haven’t shared this recipe on the blog yet. Think I should? 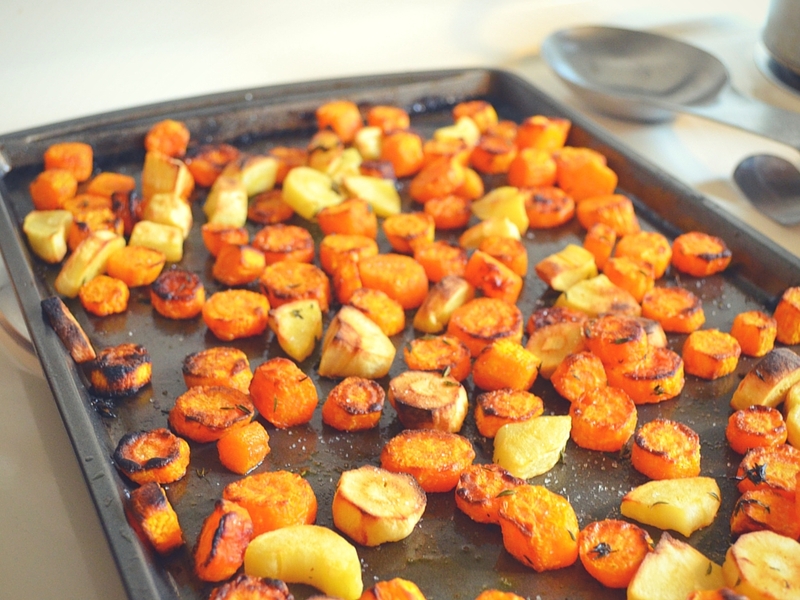 As soon as fall hits, I am all about the roasted root vegetables. Every week I buy whatever veggies are on sale (parsnips, carrots, beets, whatever), chop them up, and toss them in olive oil, salt, pepper, and rosemary. I roast them under the broiler on high, which gets the veggies caramelized quickly but requires keeping a close watch the oven. I’ve definitely let a few batches of veggies get a little too close to the line between roasted and burnt. Usually, we cook a giant piece of meat in the crockpot, a pork loin or beef roast. 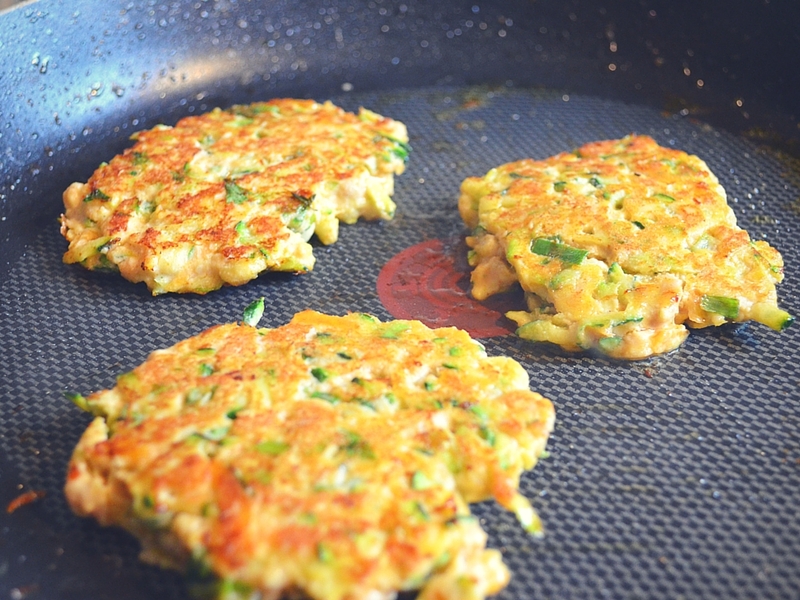 Recently however, I’ve been making a version of Melissa Joulwan’s Paleo Egg Foo Young. I’ve never actually order Egg Foo Young in a restaurant. so I have no idea how close this recipe is to the real thing. I can tell you that these little patties are delicious enough that I’ve eaten them three weeks in a row. What are you eating this week? Do you prep your food on the weekends or do you prefer to fly by the seat of your pants during the week? I am impressed. My husband does most of the cooking in our house but I assist with the prepping. We pretty much eat the same as you. Most morning I will have eggs, potatoes, and bacon. Sometimes I’ll make a frittata for the week. Jason will usually prepare two meats and our CSA delivers our fruits and veggies. Ah I wish I was better at meal prepping especially for lunch for the coming week. I run out of ideas pretty often but I usually cook Vietnamese food! I forgot that you were Vietnamese! Did I ever tell you that I’m half? You need to teach me a few tricks! No way??? I had no idea that you were half Vietnamese! I remember thinking you were probably mixed but couldn’t figure out what hehe. That’s so cool!!! For Vietnamese cooking, I use a lot of The Ravenous Couple’s recipes online. Let me know if you end up trying any of recipes! Checking it out now and will do! 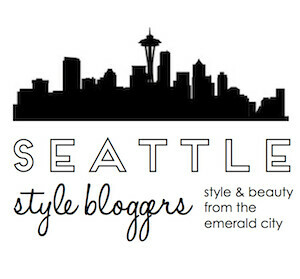 See, I knew there was a reason I shouldn’t have visited your blog unless I ate something first lol. I am sitting here thinking, “OMG I need to eat lunch soon.” Seriously, this looks amazing. I can’t concentrate now.